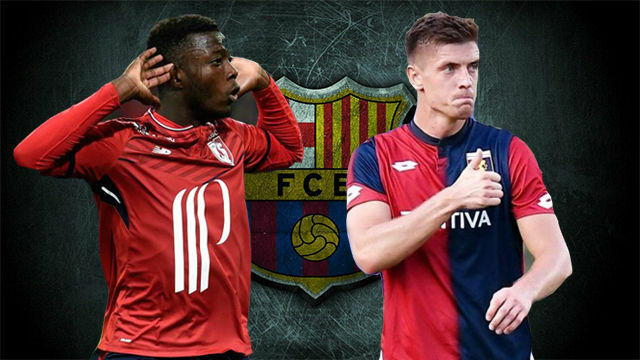 Barcelona continue to follow Krzysztof Piatek, Nicolas Pépé and Luka Jovic as they look for a long-term replacement for star striker Luis Suarez. Different sources have confirmed to ESPN FC that all three are being analysed as Barça think about life after the Uruguayan, who will turn 32 in January. In the current squad, Munir El Haddadi is their only backup. He's out of contract in the summer and the chances of him staying are complicated. Paco Alcacer, the other option, is on loan at Borussia Dortmund, who want to sign him permanently. 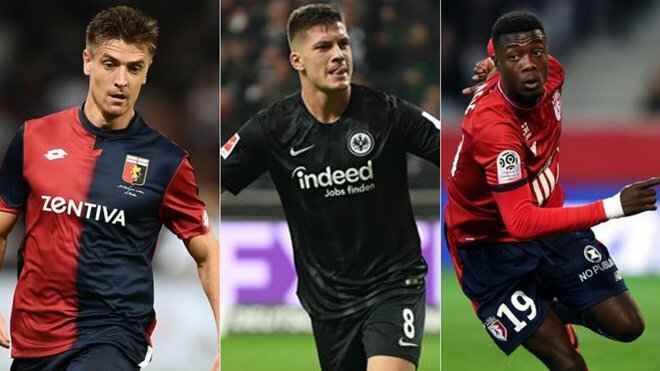 Therefore, Barça are looking elsewhere and Piatek (Genoa), Pépé (Lille) and Jovic (Eintracht Frankfurt), among others, are all on their shortlist. Piatek is 23 and has scored 13 goals in 13 games for Genoa. Pepe has scored eight times for Lille but is a more versatile player who can also play wide. Finally, Jovic, a Bosnia international, has scored 12 goals for Frankfurt, including five in one game. He's on a two-year loan from Benfica but the German club want to make the deal permanent. Suarez remains in form for Barça, scoring nine goals this season, level with Messi as La Liga's top scorer. However, he's aware the club have to plan for life without him and says that "it's normal" that the search is underway for his potential successor.